It hasn’t even been a month and I’m already writing another post about Pinterest. Obsessed much? 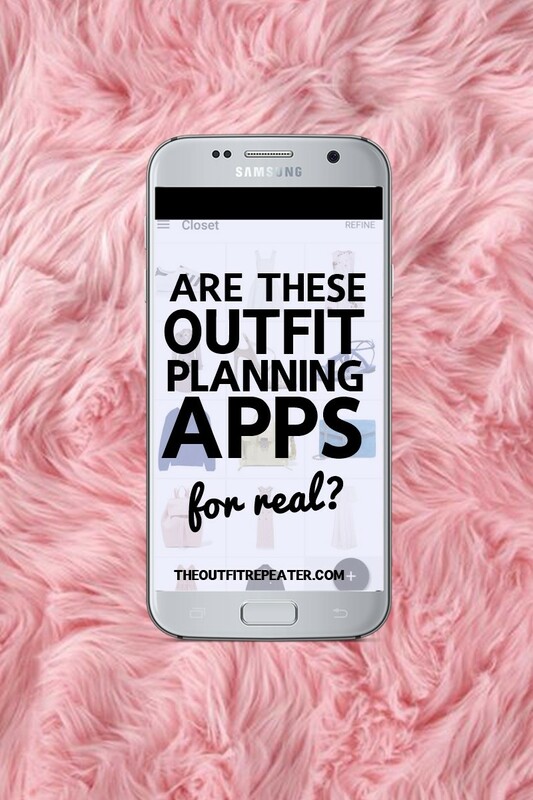 There are so many tutorials out there for getting the most out of Pinterest but this one is aimed at my fellow fashion bloggers. 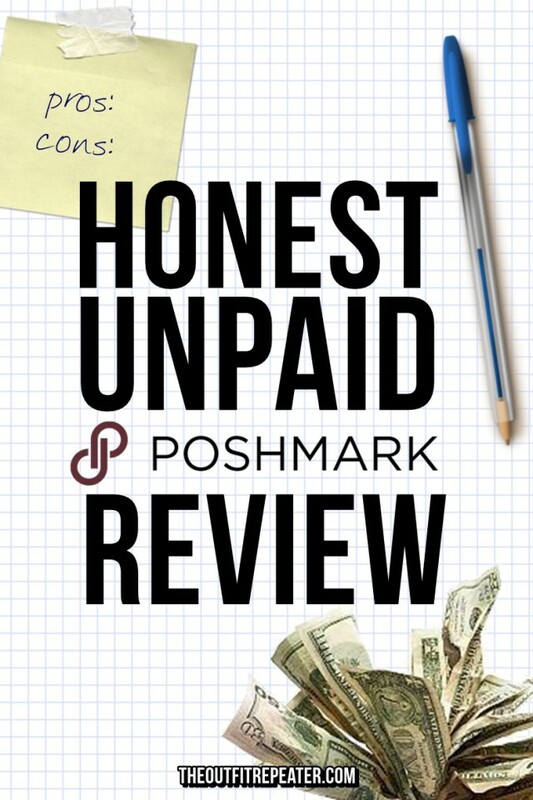 If you’re only using the service to re-pin things then you’re not living up to your full Pinterest potential! Here are some tips and tricks to getting the most out of Pinterest and becoming a better blogger. I’ll start with the basics of using Pinterest and then go from there. 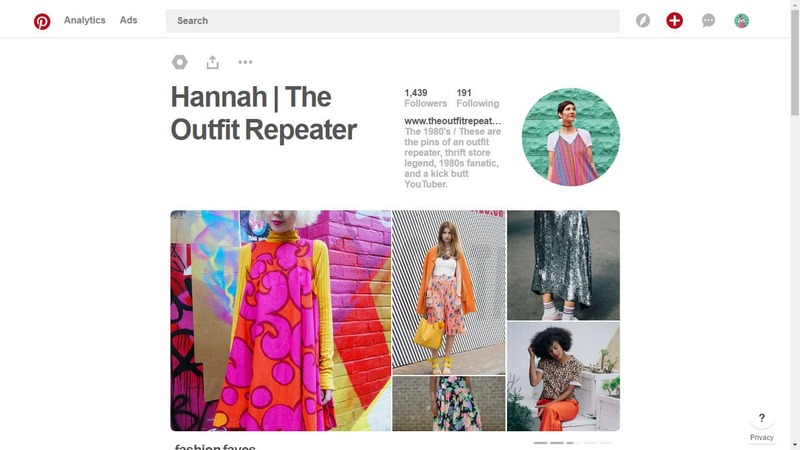 First, why should a fashion blogger even be using Pinterest? Pinterest is a social media site even though it might not feel like it. It’s beneficial for bloggers to have their own page to act as an extension of the identity they’ve created online, just like you might have a Twitter or an Instagram account. You can create boards that are relevant to the topics of your blog and Pin things that might give your readers insight on a project you’re working on or images that are related to a post you recently published. Keep your readers inspired even when they’re not on your blog! Always remember that if you click on a Pin to expand it, there are even more (similar) Pins below it. I think we often Pin an image without clicking it and that’s really doing yourself a disservice. Try to get as much inspiration as you can. That’s what Pinterest is all about! 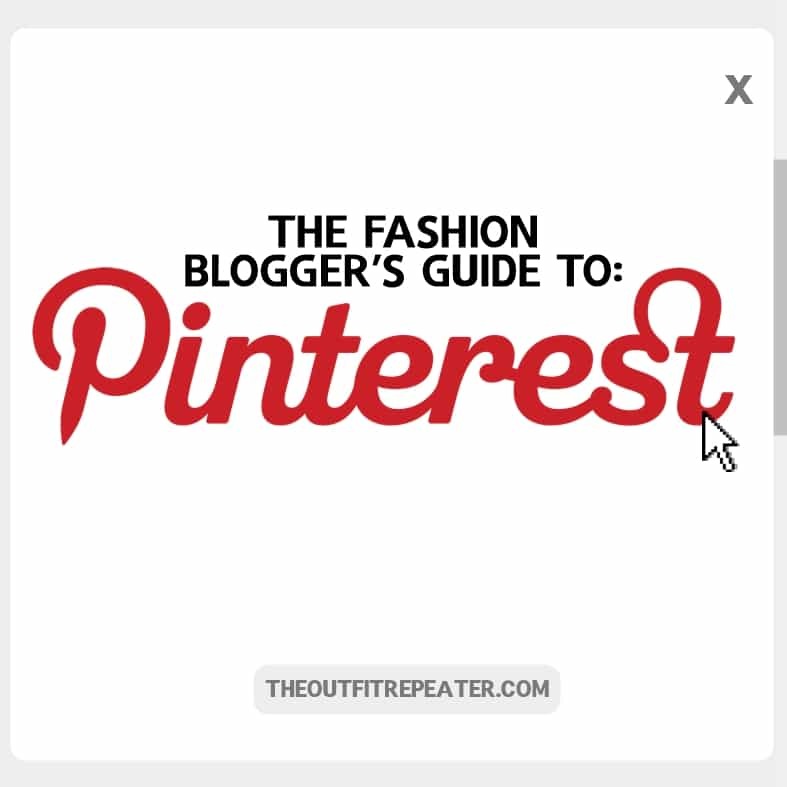 Pinterest is such a great tool to actually get traffic to your blog! Share your own post. 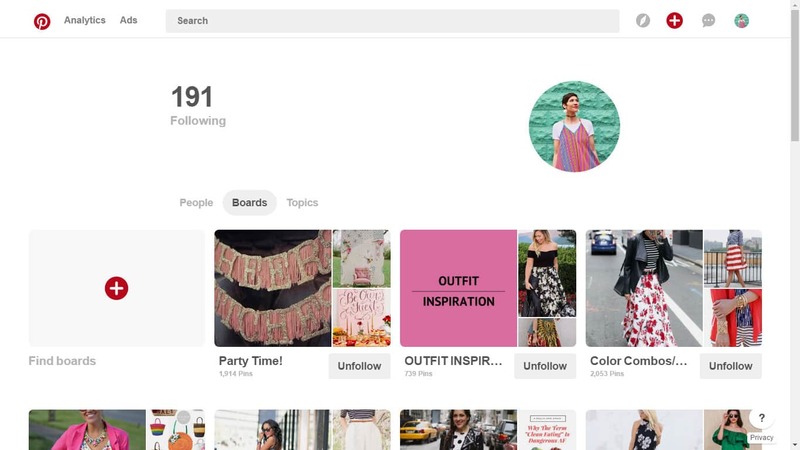 Hop on a group board and share your posts, while always repinning others. (Sharing is caring!) This will get your content in front of a very large network! Set up a business account and pay to have your Pins boosted to reach new people. Bottom line: you can’t get yourself out there enough. Just pins lots of stuff, all the time. You never know who might click on your Pin and become a fan! 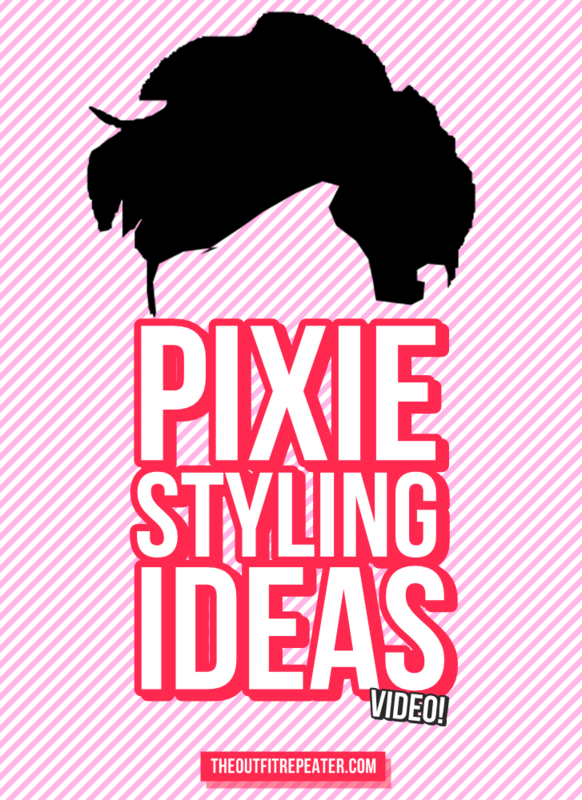 Without getting too in depth about writing blog posts, I will let you know it’s possible to get inspired by browsing through Pinterest! 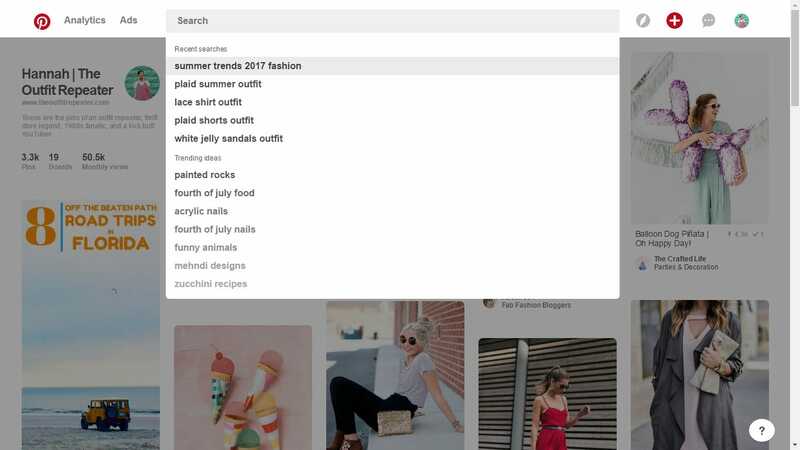 Consider clicking in the Pinterest search bar and seeing what ideas are trending. Boom, things that people are looking for that you could write & Pin about! You could also take inspiration from a Pin for future a blog post. 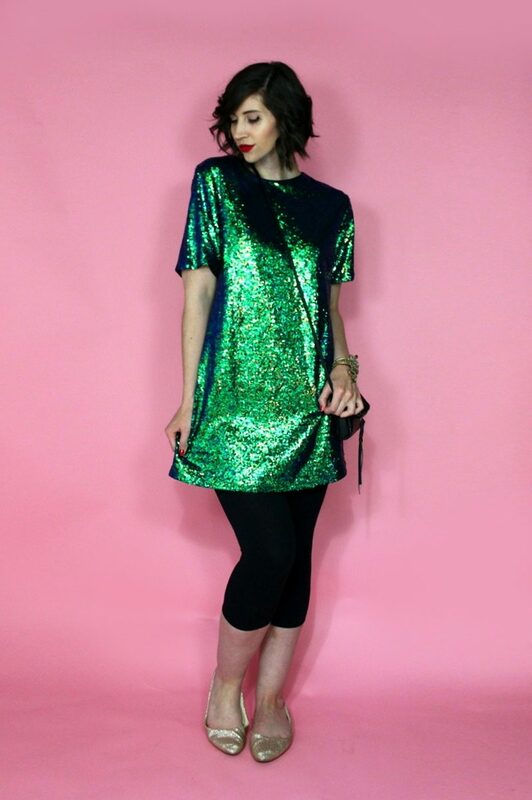 Recreate a fellow bloggers outfit, test a hack you found on Pinterest (like I did! ), take an idea and make it completely your own. The possibilities are endless! I’ve written an entire post on how to collaborate with sponsors but here’s one more tip that includes my love for Pinterest! One way to collab with a sponsor is by creating a branded board for an event or product they’re promoting. You could also tie this into a giveaway, ie: your readers need to Pin from this board or just Pin a product from your sponsors website to gain an entry for a giveaway. So simple! What good is blogging if you’re not meeting new people and making connections? Going back to the idea that Pinterest is a social media site, here are a few ways to find your tribe. Join group boards or create one! If you’re a fashion blogger, you can join my Fab Fashion Bloggers board to share your outfit posts. Not having any luck finding a group board? I like to search through Pinners I’m already following and check out what group boards they’re a part of. It’s like a personal recommendation from someone you admire, right? Searching through my followers is also how I stumble upon new people. I can easily fall into a rabbit hole of clicking from one follower to the next in search of interesting Pins and cool bloggers. It’s also worth noting that clicking through a Pin leads to a website or blogger where you can make a connection off-Pinterest. 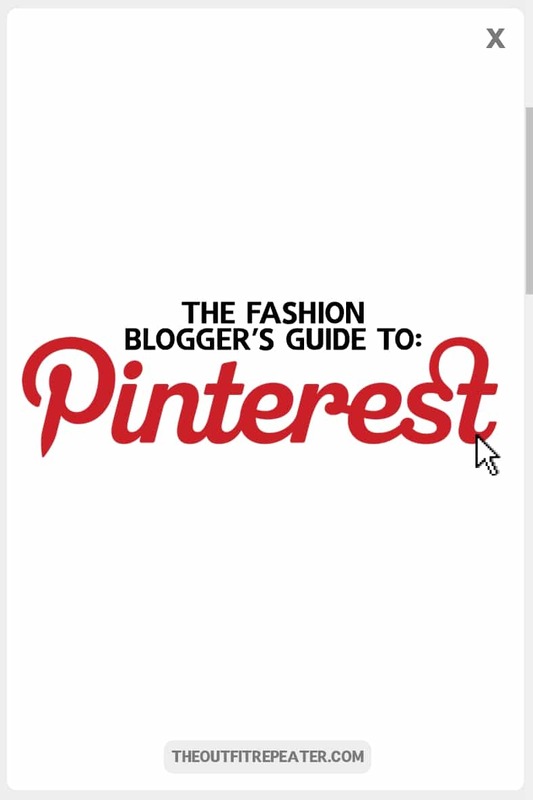 Well, I think that covers a pretty good chunk of how to use Pinterest as a fashion blogger! If you can have any neat tricks that I might have missed, feel free to leave them in the comments below. 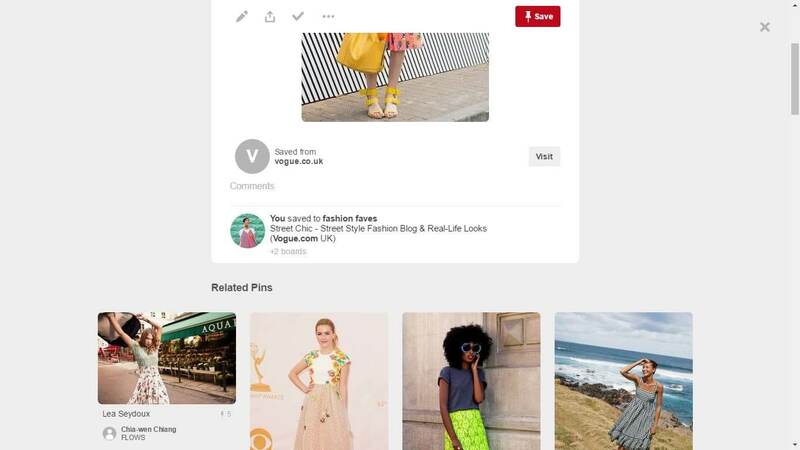 I would also highly recommend checking out a post that Valery Brennan wrote about stepping up your Pinterest game for your blog. It’s an insightful read!